Located in one of Australia’s most important transport junctions, Troy and Sharn Behsman at Express Engineering in Dubbo NSW have quietly gone about building and expanding their transport solutions business and recently delivered two Panus Flat Top Semi-Trailers to long term client, Robert Holmes Transport. Synonymous for their steel fabrication and welding expertise, Express Engineering has developed a strong reputation for their quality of work and are now also recognised for their partnership with Panus Semi-Trailers, providing local operators with access to a range of high quality, ready-to-go trailer solutions. 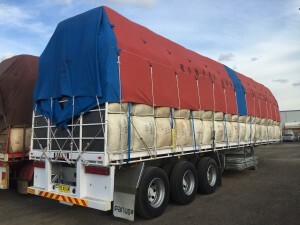 Robert Holmes Transport has specialised in storage and transport operations for over 40 years and more recently, was looking for some general freight semi-trailers to help with the cartage of wool bales and other items between Dubbo and Sydney. Robert has known Troy and Sharn for many years and Express Engineering has provided a wide variety of services to Robert’s business and equipment. So when Robert was looking for new trailers, he didn’t hesitate to consult Troy about the new Panus brand that was being promoted about the local region. Troy provided the opportunity for Robert to fully inspect the specification and ensure that the trailers were well-equipped to undertake the heavy duty work. Standard components such as the 5-inch combing rail provides strong structural integrity and will give drivers full confidence when driving over rugged terrain. Importantly, Troy reinforced that Express Engineering and Panus Semi-Trailers would work closely with Robert to ensure the trailer would perform to the optimal levels and that all support services would be carried out in an efficient manner to minimise down-time. Panus Semi-Trailers also understands the importance of developing long-term relationships with both their dealer network and the clients that invest in Panus equipment, so to understand how their products and services can be continually improved to help local operators. 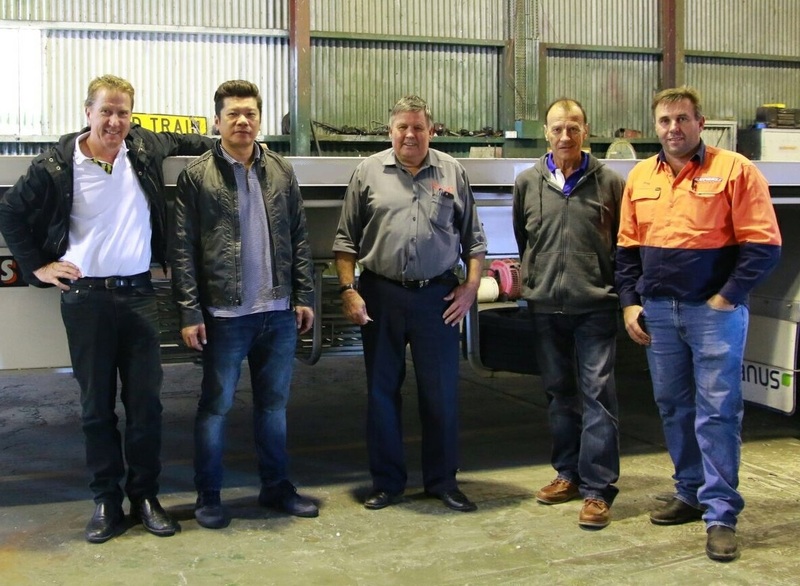 On a recent visit to Australia, CEO Panus Watanchai joined the Australian team on a tour of both Express Engineering and Robert Holmes Transport where ideas were shared and new opportunities discussed.